Bangalore. 5.30am India Standard Time. Divyaa Doraiswamy, founder of Gurukulam – The Shloka Learning Centre is all set to start her first Shloka Session for the day. The young child on the other side of skype in the US is excited about the session because she is going to have fun with her favorite teacher as well as learn Shlokas! She chants with her teacher the Shlokas in one of the oldest languages in the world -Sanskrit! Throughout the day, Divyaa switches from one time zone to another seamlessly and gets into the groove with the kids to impact them with her Shloka sessions. I had a long conversation with Divyaa to understand the genesis and the journey of Gurukulam, what makes her tick, what are some of her memorable moments, and what next for ‘ Gurukulam’. During my conversation, I could sense her love for working with kids, passion, confidence, joy and happiness and a clear purpose. It all started when Divyaa was going through some tough challenges in her personal and professional life. She relocated from the US to India. During this phase, she also faced many health issues. That is when she started searching for alternative solutions to her health issues. 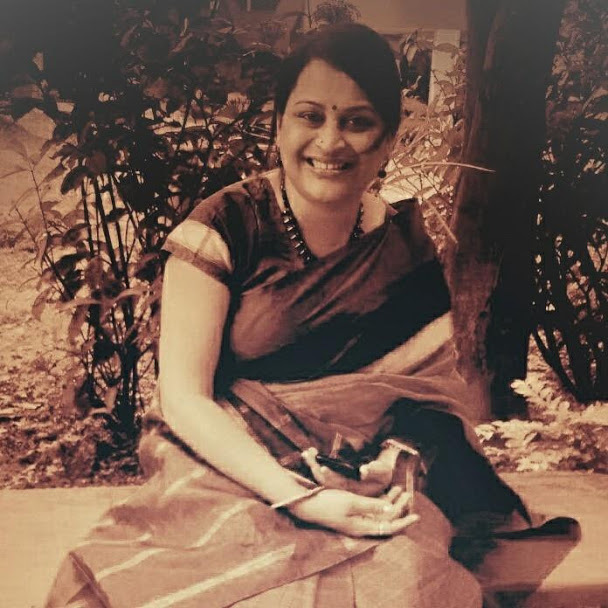 She digged deeper and found that the Shlokas can help her a lot in not just dealing with her emotional and physical issues but also gave her a sense of direction and purpose. The more she researched on the benefits of Shlokas, she got convinced and started learning and practising it. Soon, she internalized it. Gradually, singing Shlokas every day gave her the inspiration and motivation to start teaching it to kids. Research states that kids before the age of 7 can learn languages and other skills quickly and the benefits of learning the Shlokas are immense not only in their formative years but also extends to their later period of their lives. She conducts customized one to one teaching sessions via skype and whatsapp across the world. She focuses exclusively on kids with students ranging from the age group of 3 years to 14 years. The curriculum not only includes teaching through chanting and other methods but also imparts information and knowledge through interesting facts on each verse/ subject in the Shlokas. This helps the kids to retain their learning capacity better. Her sessions are fun and interactive for kids. Kids who started with her at the age of 3 continue to learn with her. What stands out for me is that Divyaa has focused on Depth as Scale whereas the usual path of entrepreneurs will be to focus on Volume as Scale. By focusing on Depth as Scale, Divyaa has been able to demonstrate her value and the positive impact she has on the kids and their parents lives. Some time ago, a parent narrated that her child who couldn’t speak properly [despite several visits to Doctors and Speech Therapists], was able to speak well after couple of Shloka sessions with her. Other stories were when some of the parents appreciated her on the impact of the Shloka Sessions in the overall development of their children’s lives. They observed that their children were more mindful and and focused due to which there has been significant improvement in academics, reading skills, and math. On the social and emotional front, the children were displaying lesser anger, anxiety, restlessness, and managed their emotions well. And…she is proud of the fact that she got the opportunity to convert her passion to a profession! P.S. To know more about the effect of Shlokas and what it can do for children and adults, you can read it here and here. 0 responses on "Gurukulam: Growing and Nurturing One Global Child at a time!"